Rocking out at Reflexion Dance and Fitness! Everyone has a different fitness style: some love the gym, some are all about yoga, some can run outside no matter what the weather, and some like to mix things up. I enjoy a little bit of everything, and I’m always down to try a new way to get my heart pumping. 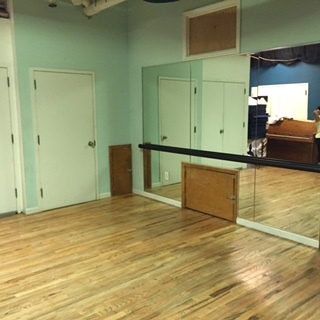 When I spoke with the owner of Reflexion Dance & Fitness, Elena, earlier in the summer about their opening, I was very intrigued to give one of her classes a try. One of the styles she was most excited about offering was called Pound-Rockout.Workout, which I had never heard of before. 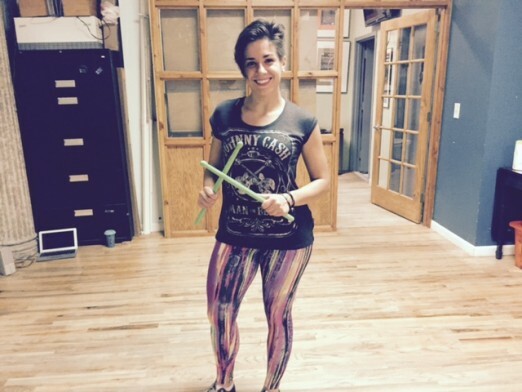 (For newbies like me, it’s a pilates-based workout with weighted drumsticks.) They were offering a free trial week after opening, so I reserved a spot in her 9am Saturday morning class, and made my way over while many Astorians were still asleep. Here’s how my experience went! Once you’ve found the Reflexion sign, you’ll know you’re in the right place. First of all, the location is a little tricky to find. The address listed is 26-80 30th Street, #B2, but you’re actually looking for the Greek Cultural Center to the right of the main building, and down the stairs. 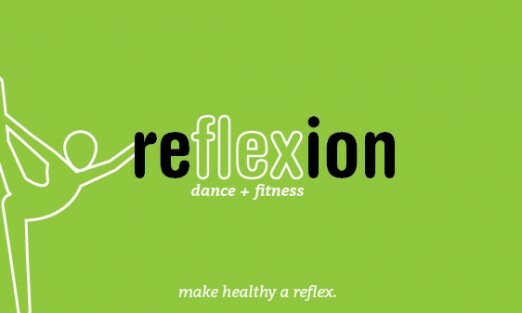 There will be a lime green sign with Reflexion’s logo on it, leading you where you need to go. The room is very small, which has it pros and cons. The upside is the class size is also small, (there were three of us taking the class that day) so you’ll receive a lot of individual attention, and can be open about asking for help. However, if you’re someone who likes to fade into the background at fitness classes and not be noticed, this may not be for you. For me, it made me push a little harder, knowing that Elena was giving it her all for just the three of us–I wanted to step my game up! Class sizes average around five people due to the space, so be sure to reserve a spot ahead of time! The space where it all goes down! The workout itself was a blast. If you’re not familiar with Pound.Rockout.Workout, (I definitely wasn’t!) check out their Youtube clip for a quick introduction. I can’t think of a cooler way to relieve stress than pounding these sticks on the ground while engaging my core. 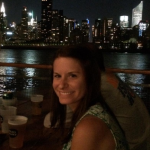 The combination of dance, cardio, and toning kept my body guessing, and sweating! Our energetic class leader, Elena. Overall, I would definitely take another Pound.Rockout.Workout class, and I’d be interested to try a different class at Reflexion such as salsa or yoga. They also have an abundance of classes for kids, so take a look at their class schedule for opportunities for your little one to learn how to boogie. 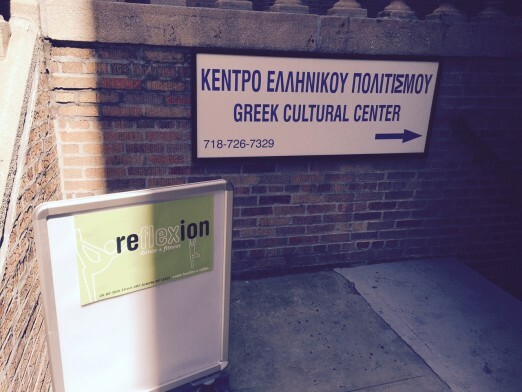 To register for a class at Reflexion, click here. See you on the floor!